“Tainá” is a Tupi Guarani word (an indigenous Brazilian Indian language) that means “sunshine” or “morning star”. She believes in the power of her name and wants to empower those around her. However, she is still trying to discover how to accomplish that. 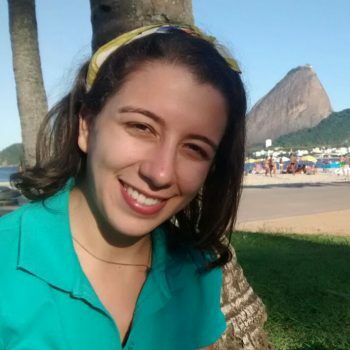 Passionate about writing and reading, she has chosen journalism as her profession because she believes in the change making potential of information.Tainá lived in Spain and completed part of her schooling at the Universidad de Salamanca. While studying, she worked as a volunteer with the Spanish Red Cross. With a post-graduate degree in marketing, Tainá has spent some time working in large retail and communication companies. However, her heart lies with her job at Junior enterprise, a non profit organization of students from all around the world. Tainá is passionate about travel and discovering different cultures. She has already been to several countries including Cambodia, Morocco, Thailand, Russia among others. She is always looking forward to her next destination.